Over the coming weeks I'm going to be writing various articles to help you build your understanding of how you work and what you need to do in order to be able to achieve your goals. It is estimated that our brain receives more than 2 million bits of information through our senses every second. If we were to take in all this information consciously it would drive us absolutely crazy. So what happens to all this information? Well, according to memory theorist George Miller, we can only consciously process 7 +/- 2 bits of information at any given moment. So in the speed of a second, the mind has to compress about 2 million bits of information down to 7 +/- bits of information. In order to make sense of this vast difference (two million down to seven) the mind filters the events our senses take in by deleting, distorting and generalising the information through our language, memories, attitudes, values, beliefs, decisions, etc. We then make an internal representation of the world we are taking in, with pictures, sounds and feeling. That puts us in a state of mind, which can change our physiology that affects our behaviour. All this happens in a fraction of a second and none of it has to happen in any particular order. We are in a constant state of flux, where our physiology can affect our attitudes just as easily as our behaviour can affect our language. What this tells us is that the world that we experience is not the world that is outside of us, it is a world that we are creating inside. 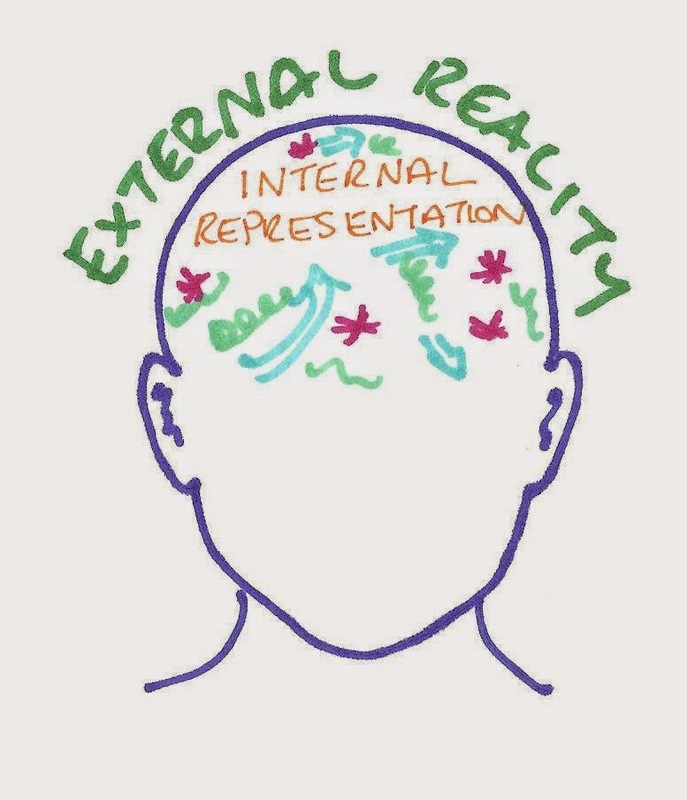 We do not experience reality as it is, we only experience our own perception of reality. As we all have different sets of filters (that being different sets of values, beliefs, memories etc. ), we will all have our own unique perception of the world. 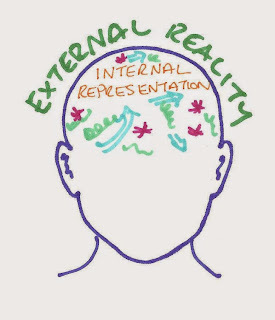 This explains how one person can perceive an event completely differently to another person who has experienced the same event. If we did not delete, distort and generalize the events we take in, consciously we would be in sensory overload. It's the sensation of more things happening than you can handle, which can be quite overwhelming! Delete – This is when we omit data or selectively pay attention to certain parts of our experience and not others. Think of a time when you were so engage in a conversion with someone that you were unaware of other events going on around you. Distort – This is when we can change the information around us to fit what we expect or believe. Do you remember a time when you where looking for your keys and not seen them because they weren’t where we expected them to be. Someone else helps you look for them and finds them instantly, ‘but I looked there’ we say, not realising that we have experienced a distortion in our sensory information! Generalise – This is when we put ideas, people or things into a convenient group or category. We may generalise that all swans are white, until we come across Australian swans – which are black. By making small changes to our thoughts (internal representation), our emotions (our state) and/or our body (physiology), we can make a big difference in our behaviour and therefore our outcome. You can change one or all three and start in any order. They are all linked neurologically together in templates. Whenever we have a memory, be it a smell, a happy memory, painful memory, a movement, it is there because our brain has fired off a template. Templates are created when we learn (which we are constantly doing!) and are nerve cells that have wired together in a way to hold the different parts of that memory as one and the wiring together of nerve cells is mainly under the control of our emotional system. 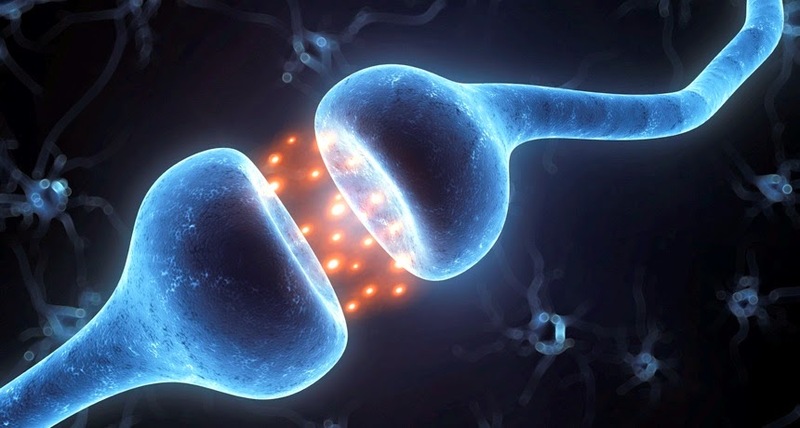 Everything we remember is stored in a template (or a number of templates) and the nerve cells look to make connections with each other when they are firing at the same time and then the chemicals in the brain start to get involved to help those connections build! What this means for us is that our brains are always learning and we can also unlearn and learn again, if we've taken in information and created an internal representation that is not useful to us we can change it by understanding the science of the brain as well as the thinking of the mind. It also means we can create very strong templates of strategies that will take us forward in our sport.